A 1914 postcard portrays Neptune, the Roman god of the seas, enjoying a beer in Lake Michigan. Wisconsin may be known as the Dairy State, but its status as a bastion of beer is just as legendary. When the United States entered World War I, though, the German roots of the state’s brewing industry centered in Milwaukee fueled the efforts of prohibitionists looking to ban the production and consumption of alcoholic beverages. Jana Weiss, an associate professor of North American history at the University of Münster in North Rhine-Westphalia, Germany, discussed the temperance movement, the German-American roots of Wisconsin’s brewing industry and how they collided during the Great War in an Oct. 28, 2017 presentation at the World War 100 conference, recorded for Wisconsin Public Television’s "University Place." “As German immigrants flocked into the United States, especially during the second half of the 19th century, they transformed the American brewing industry and triggered what I call the lager beer revolution,” Weiss said. Wisconsin emerged as one of the biggest brewing centers in the nation, and that industry would make the state’s biggest city famous. "Milwaukee became the state's beer capital with the rise of the city's beer barons, such as Pabst, Blatz and Miller," Weiss added. "All were of German descent." 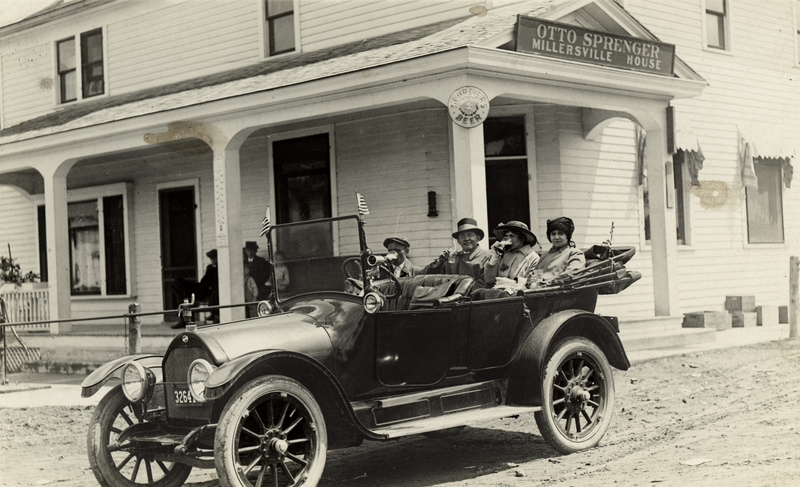 Activists in Wisconsin’s temperance movement had long asserted that the alcohol industry begat crime, poverty, ill health and all-around immorality, but gained more widespread support as the U.S. entered World War I by appealing to patriotism. Prohibitionists argued that brewing hurt the war effort by wasting food, coal and gasoline that could have been diverted to the Western Front in France, and sought to link German-American brewery owners to Kaiser Wilhelm II through pamphlets distributed in Wisconsin. Much of the association between beer and German identity came from the breweries themselves. Over decades preceding the war, their marketing efforts had highlighted their founders’ connections to beer-drinking Germany. The beer garden culture of Gemütlichkeit, a custom of sociability and family friendliness, was highlighted as a positive alternative to saloons that were seen as socially corrosive and hosts of crime and corruption. The German-American-led brewing industry in Milwaukee and cities in other states struggled to counteract the narrative that its beer barons valued profit over the well-being of the nation, and they increasingly lost ground trying to rebut arguments the temperance movement made on moral and religious grounds. Brewers attempted to argue that prohibition of their product damaged the war effort by dividing the nation and diverting money to politicking, but their assertions were ultimately ineffective. Just two months after Armistice Day, Congress ratified the 18th Amendment on Jan. 16, 1919. Prohibition banned the sale of alcohol nationwide and ended, for a time, Wisconsin’s prolific beer industry. The production lines of Milwaukee’s brewing titans closed or were repurposed until 1933 when Prohibition ended and brewing could resume. Eighty-some years later, and a century after World War I, Wisconsin’s largest city has seen a resurgence of some of the cultural touchstones of the beer industry’s pre-Prohibition era. "The current craft beer movement has not only sparked a new interest in old-style beers, but also in German-style beer gardens," Weiss said. "For example, a couple of years back, the Estabrook Beer Garden opened in Milwaukee, and on its home page refers to the German Gemütlichkeit. So, it seems that, after all, German Gemütlichkeit prevails." While the first temperance society in Wisconsin was founded in 1835, the Anti-Saloon League unified the anti-alcohol activists near the end of the 19th century. When the U.S. entered World War I, temperance campaigners used hostility towards Germany to drive support for total prohibition of alcohol. Although breweries ultimately failed to prevent Prohibition, they developed a public relations network to promote their industry. Beginning in the 1870s, this network subsidized newspapers to print favorable articles and lobbied for legal changes in the industry’s favor. In 1872, the network successfully beat back Wisconsin’s Graham Law, which would have held tavern owners responsible for selling liquor to known drunks. The 19th century saw an influx of German immigrants into the U.S., and by 1880, about fourth-fifths of brewers were German-Americans who settled across much of the nation. The Midwest subsequently became known as America's German belt, with cities like Milwaukee and St. Louis developing into beer-producing powerhouses comparable to East Coast brewing centers like New York and Philadelphia. Prior to World War I, German-style beer gardens and halls were considered preferable and even temperance-movement-friendly compared to saloons serving liquor. In Milwaukee, the city’s big breweries worked out a compromise to develop a "Wisconsin Idea" of vigilance committees to clean up or close disreputable establishments. Brewers attempted to demonstrate their unqualified support for the U.S. effort in World War I in several ways. One effort involved producing beer with a with a reduced alcoholic content of 2.75 percent. They also became one of the largest purchasers of Liberty bonds, with the brewery owners of Milwaukee and their employees buying $2 million in bonds during the war. On the changing perception of Germans at the start of the 20th century: "Over decades, German Americans, and especially the brewers, had been considered an esteemed part of U.S. society. … But during World War I, their public image changed remarkably from proud and respected entrepreneurs to mercenary enemies of the states." On the link between German culture and beer: "To German Americans, Prohibition was more than a mere political issue. It was a symbol of cultural conflict threatening their lifestyle and value system. In contrast, the [Anti-Saloon League] argued that it was not about personal, but about civil liberty. It was about loyalty towards the flag and not the keg. Drinking beer was an expression of German identity and, thus, unpatriotic." On social drinking in German culture: "These beer gardens, they served several functions. They were a piece of home. 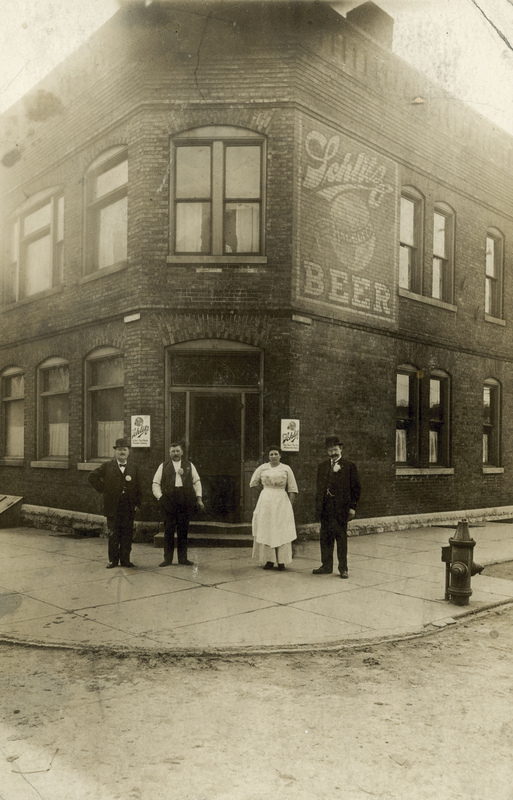 They served the function as community centers for German Americans and the public at large, and as ways to promote beer as a temperance drink — as a natural and healthy product to be consumed outdoors with the whole family." On the breweries’ response to the temperance movement: "In general, the standard narrative of studies on the brewing industry conclude that the brewers were too slow in organizing pressure to counter prohibition. That they were too unprepared and too unalarmed, and overconfidence was certainly one of the reasons why the brewers failed to save their business." On the anti-German sentiment that drove prohibition efforts: "World War I triggered the downfall of the brewing industry. Some states were already dry by 1914, but the push to garner enough states to pass national prohibition might not have been so quickly realized had it not been for the war at home. While the temperance movement aimed at several immigrant groups other than the Germans — we have the whiskey-drinking Irish or the wine-drinking Italians — it was successful because of the growing anti-German sentiment. And the brewers either failed to pursue any method vigorously, or simply could not pursue the method at all because of its association with Germanness. 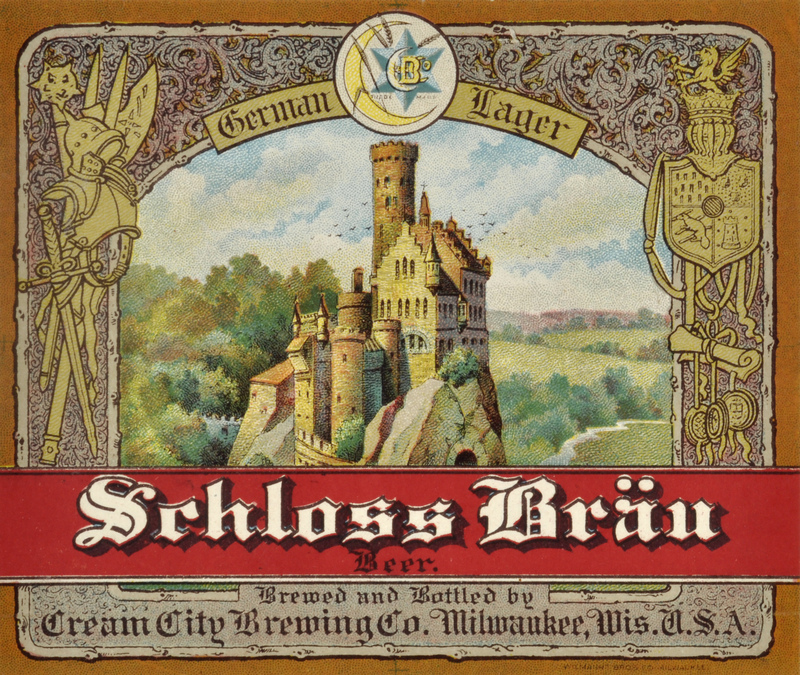 World War I and Prohibition brought an end to Wisconsin's German high-cultural period." World War I Turned Milwaukee's Germans And Their Beer Into Targets was originally published on WisContext which produced the article in a partnership between Wisconsin Public Radio, Wisconsin Public Television and Cooperative Extension.